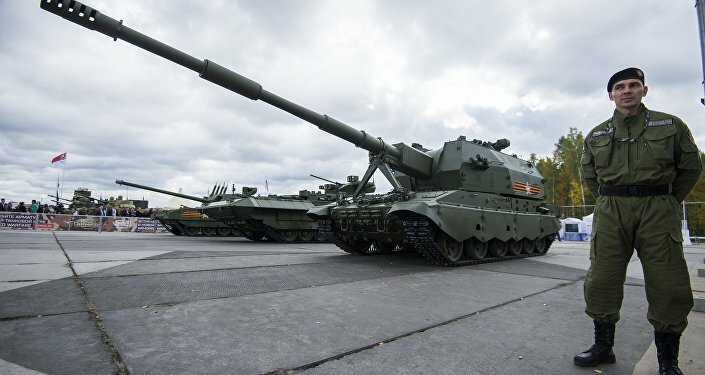 A gun with a firing range far exceeding all existing analogues, unique fire-control electronics and a modern superfast loading system – these are just a few features that make Russia’s Koalitsiya-SV self-propelled howitzer one of the most powerful and accurate around. Even though information about the Koalitsiya’s exact rate of fire remains under wraps, Russian experts say that it is higher than that of any of its foreign analogues. This includes Germany’s PsH 2000, which fires 10 rounds a minute, China’s PLZ-05 with its eight rounds per minute capability and, of course, Britain’s Brave Hart, which can fire maximum six times per minute, Zvezda TV reported on Sunday. The Koalitsiya owes its record rate of fire largely to a unique barrel-cooling system developed by the Burevestnic research institute in Moscow. Even though the Koalitsiya-SV resembles the older 2S19 Msta-S, it is a totally different system. It has an unmanned turret and is armed with a 152-mm gun. It also has a fully automated ammunition loading and handling system utilizing a modular charge mechanism. This artillery system can fire a wide range of munitions, including standard and rocket-assisted HE-FRAG projectiles, cluster projectiles with anti-tank submunitions and jammer-carrying shells. The range of fire with a standard projectile is around 30 km and around 40 km with rocket-assisted projectile. This artillery system carries an impressive onboard ammunition supply of around 60 to 70 rounds. The Koalitsiya-SV has an automatic targeting and charge selection system. The self-propelled howitzer is operated by a crew of only three, including a commander gunner and driver. Crewmembers are located in a well-protected compartment at the front of the hull. The armor of this vehicle protects the crew against small arms fire and artillery shell splinters. The vehicle is also fitted with NBC protection and automatic fire suppression systems. 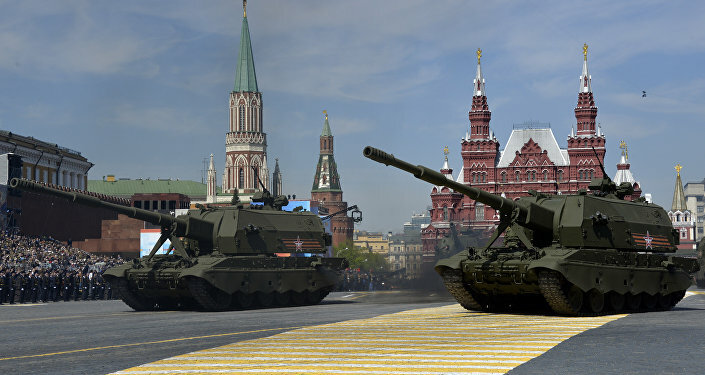 The Koalitsiya-SV’s tracked chassis uses components of the T-90 main battle tank and is powered by a turbocharged diesel engine developing around 1,000 hp. 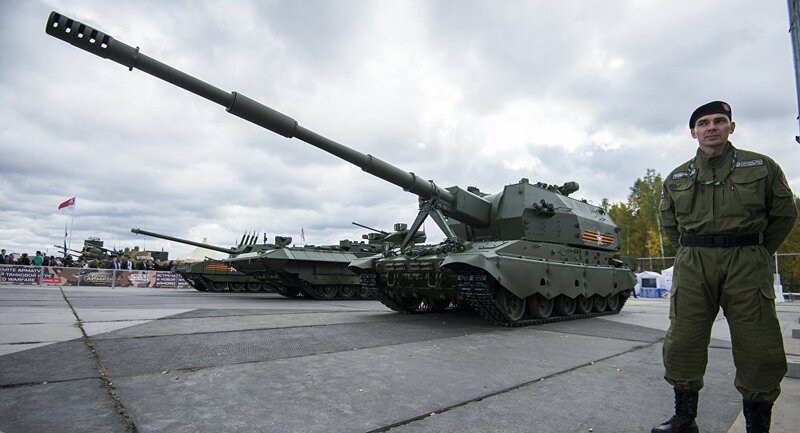 A single Koalitsiya-SV self-propelled gun is worth an entire artillery battery, deputy commander of Russia’s Missile Troops and Artillery, Maj.-Gen. Alexander Dragovalovsky told reporters in November. "It’s a new weapon, cutting edge. Its capabilities effectively allow it to replace a whole battery," Dragovalovsky said. Overall, the Koalitsiya-SV presents a quantum leap forward for Russia’s defense industry and it won’t be long before this long-range howitzer with a truly sniper capability enters service in the Russian armed forces.